The first cold-press juice I ever had was at Urban Herbivore. I was doing these classes across the street from them and after one sip of their apple-lemon juice I was hooked. 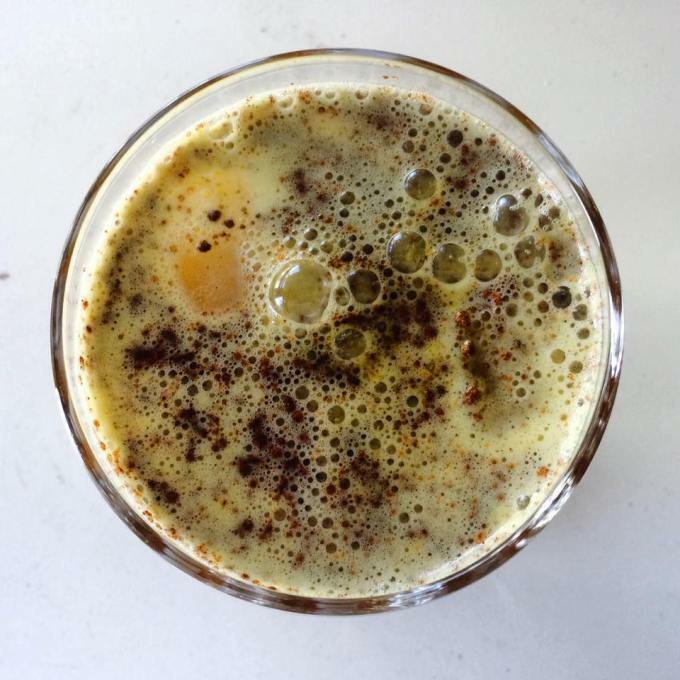 I swapped out my coffee for this sweet concoction every morning. I jazzed up my version at home with ginger and cinnamon. I also add celery, but I promise you won’t taste it. I drink this over ice with the cinnamon stirred in, but can definitely be warmed up. Don’t zap it in a microwave; if you want it warm, do it on a stove top and add the cinnamon in at the end.